Strengthen children, families and communities by teaching coping skills. 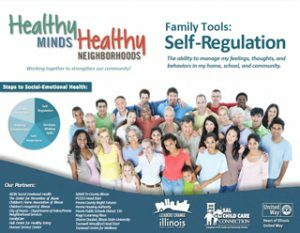 Educate, engage and equip local community members with “teach me what to do” strategies that promote positive behaviors for social-emotional health. Work together to build resilient communities. Parents/guardians, grandparents, caregivers, and neighborhood champions. 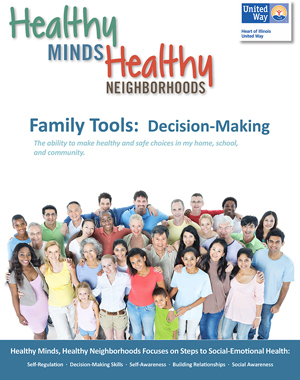 Click here to download a copy of the Healthy Minds, Healthy Neighborhoods Decision-Making Skills booklet. The Heart of Illinois United Way brings together people from business, labor, government, health and human services to address community needs in Marshall, Peoria, Putnam, Stark, Tazewell & Woodford Counties in Illinois. © Heart of Illinois United Way | All rights reserved.